Welcome back to the second instalment of itContracting’s IT recruitment video series! 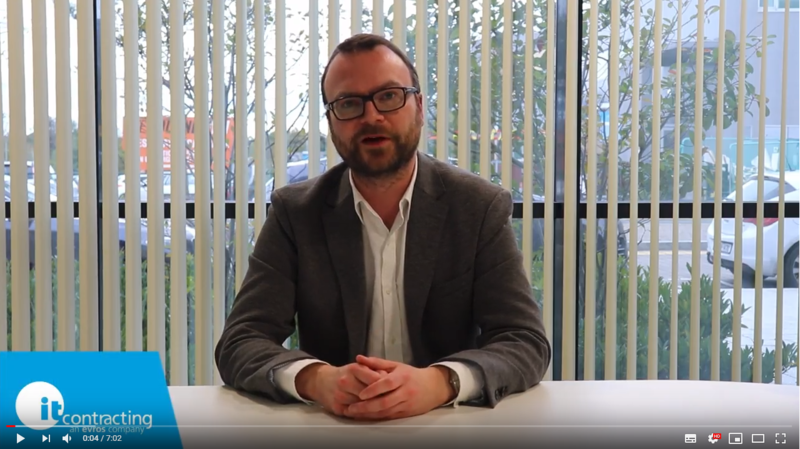 In this week’s video instalment, itContracting Senior IT Recruiter Tom Leonard gives us an insight into the benefits and implications of working as a contractor. Contracting work has outgrown permanent positions enormously over the past five years within the Irish IT sector. According to the OECD Self Employment Rate Indicator Chart via Labour Force Statistics, 15.7% of Ireland’s workforce in 2017 were self-employed. So how exactly do you know if contracting will suit you and your lifestyle? Let’s explore the pros and cons of contracting work within the IT industry with Tom. Want to know more about IT contracting? Speak with Tom or any other member of our team today! itContracting provides our candidates with the opportunity for further training with on-going evaluation roadmaps, which can adapt skillsets more closely to your evolving environment. Are you looking for it contract work or a permanent IT position? Contact Ireland’s leading IT recruitment agency, itContracting.